Soak 1/2 cup chick peas overnight and boil them with some salt and water in a pressure cooker till they become tender. Keep aside. Take spinach,onion,tomato,green chili,ginger and garlic a pan and cook for 5 minutes till all the ingredients are cooked. In another pan heat one tbsp of butter and add cumin seeds and when it turns brown in color add tomato puree and all the spices and salt one by one. Add 1/4 cup of water. Cook for 2 minutes and mix the tempering with the cooked spinach and mix well. Mix boiled chick peas and mix well and cook further for 5 minutes. Serve Paalak chana hot with rotis or naan. 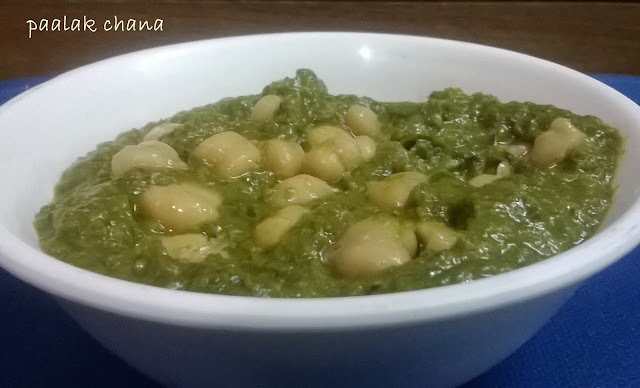 Garnish the Paalak chana with some cream or grated paneer . Pull the outer husks down the ear to the base. Strip away the silk from each ear of corn by hand and place the ears of corn in a large bowl of cold water with 1 tsp of salt for 10 minutes. Remove corn from water and shake off excess water from it. Place the corn on the grill, close the cover and grill for 15 to 20 minutes, turning every 5 minutes. Or grill it on open fire on a gas stove turning sides constantly. 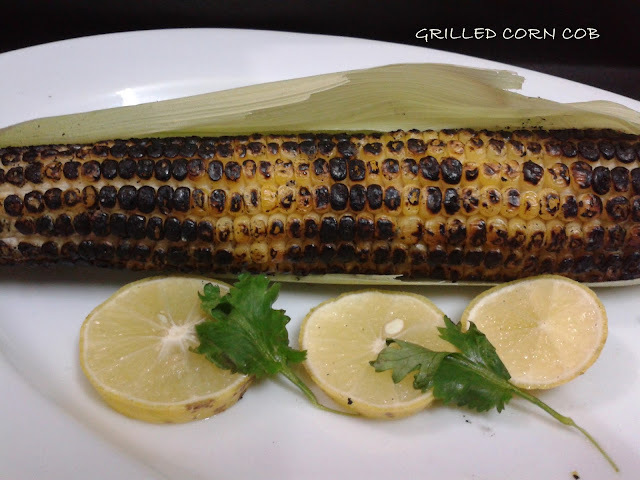 Remove from fire when it is evenly grilled from all the sides. Rub a fresh lemon wedge and sprinkle salt to taste or rub juice of lemon pickle over the cob and serve hot. You can also rub salted butter over it instead. Boil or microwave the corn cob or take frozen corn cob. 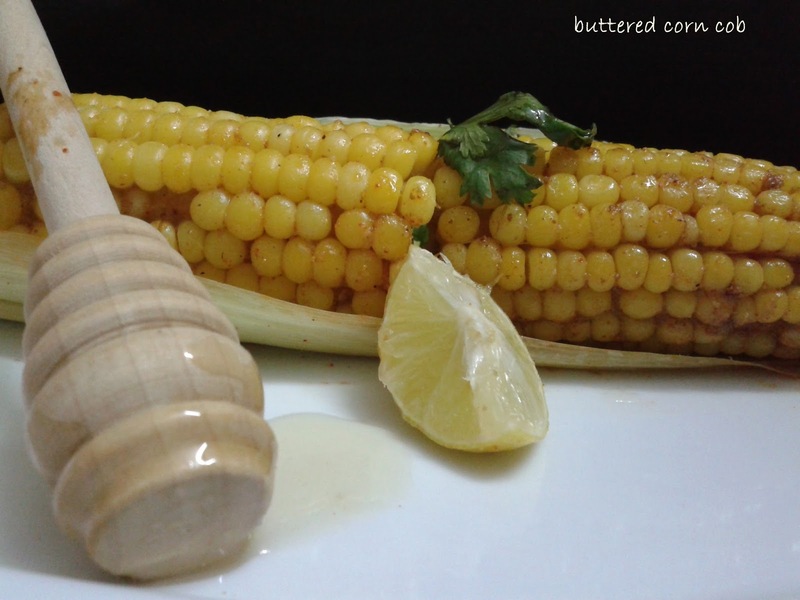 Heat butter in a pan and roll the corn in melted butter and cook for a while to make the corn cob warm. 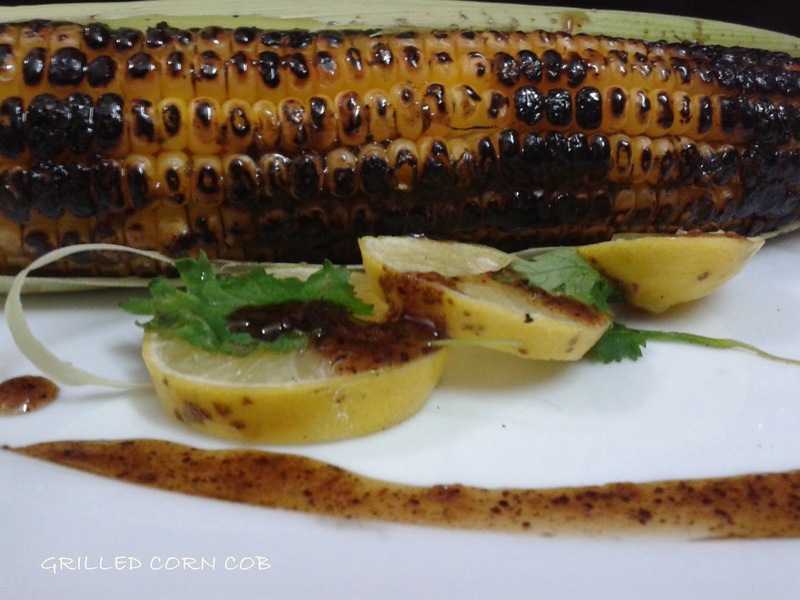 Now take it out from the pan and rub lemon wedge,honey,salt,pepper and chaat masala on it.